The Station Agent is the perfect couples movie. It is good, and fuzzy and warm and all kinds of wonderful, without pushing it, like your average Forrest Gump crapfest always does. The film comes across as totally real, and you dive into the illusion of the story within the first minutes, much thanks to outstanding screenwriting and impeccable dialogue. It features some of the best acting since Al Pachino in his glory days, and the wonderfully understated vibe throughout, is more powerful than all the explosions in Hollywood. Making uneventful everyday doings by normal "boring" people, more interesting than exceptional actions by gods and goddesses, is nothing short of art at its finest. 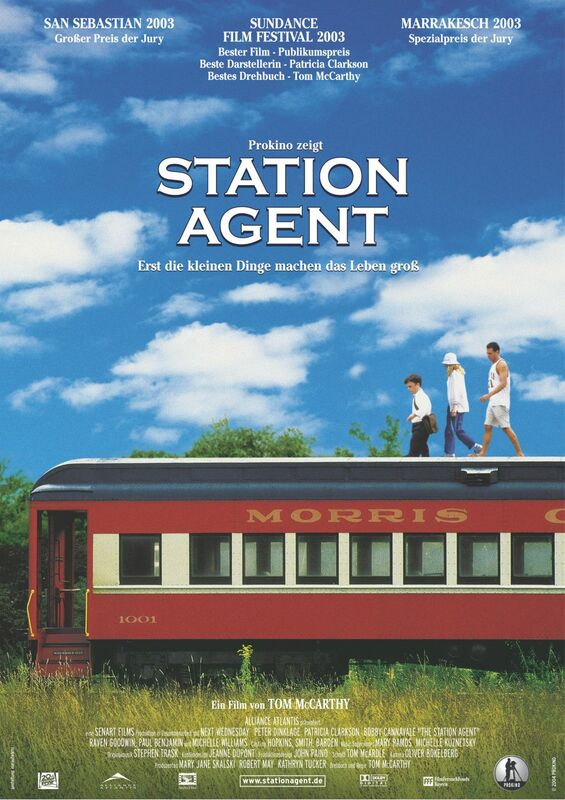 The Station Agent is so good, you don't even need a spouse to watch it with. I saw it with two butch guys on a Saturday evening. We all pretended to have something in our eyes, and blamed our sniffles on the cold weather.